MJ Medical has been awarded the contract to provide equipment procurement services for Great Ormond Street Hospital’s Phase 2B Premier Inn Clinical Building (PICB). The global health planning consultancy’s bid scored highest against both quality and value for money criteria for the role, which involves managing the procurement of the medical equipment and furniture for the new building. “MJ Medical has an in-depth knowledge of the medical equipment market, with extensive insight into currently available solutions and emerging technologies. 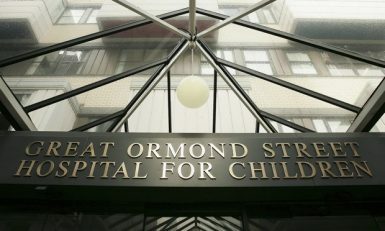 We’re delighted to support the Great Ormond Street Hospital for Children NHS Foundation Trust as it extends its capacity as a world class children’s hospital,” says Andrew Bertram, Procurement Consultant for MJ Medical. The PICB construction will complete the Mittel Children’s Medical Centre and is set to open for patients in July 2017. The PICB is a reconstruction, including extension, of an existing building of circa 13,000 square metres with 110 in-patient beds, an ambulatory area for rheumatology and dermatology patients, integrated theatres and a post anaesthetic care unit.